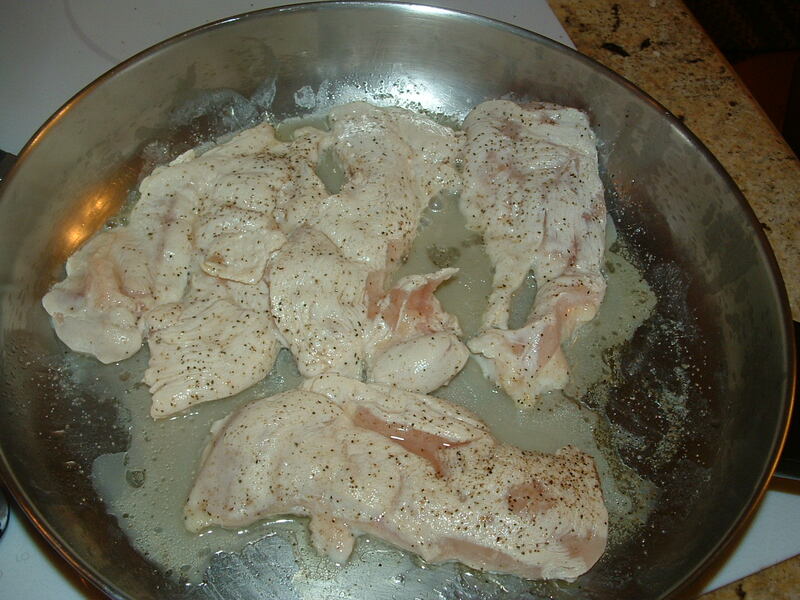 Salt and pepper both sides of chicken pieces. Brown chicken, turning once, until cooked through - about 4-5 minutes per side. 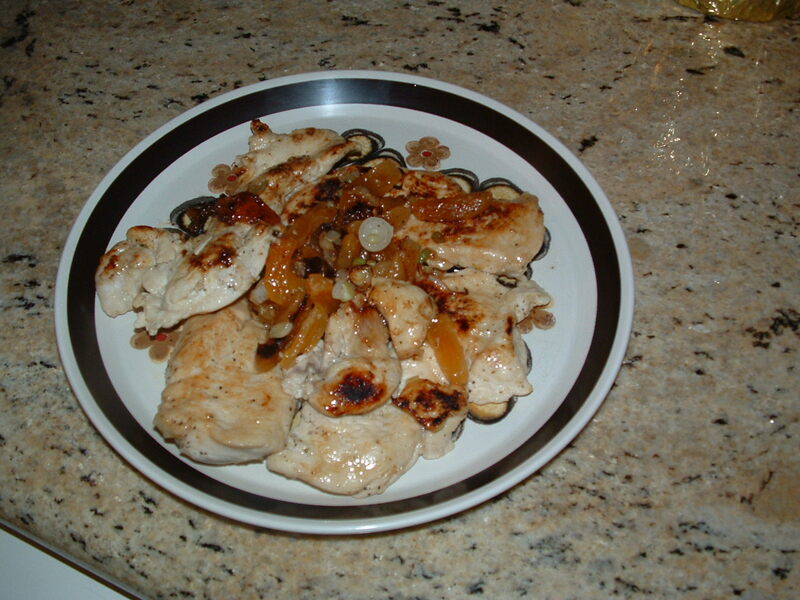 Reduce heat and add onion, sauteing until tender. 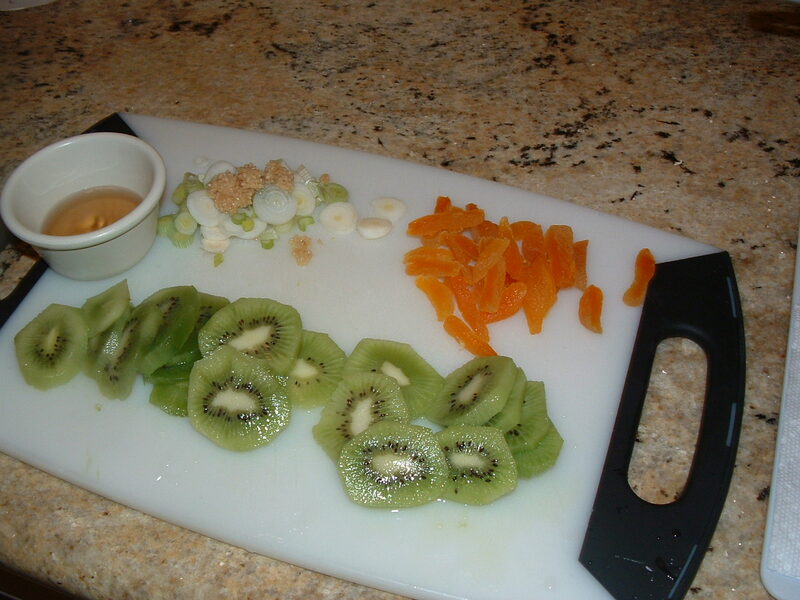 Add apricots, rum, wine, lemon juice and vinegar, simmering until reduced by half. Add jam, blend well and simmer to desired consistency. 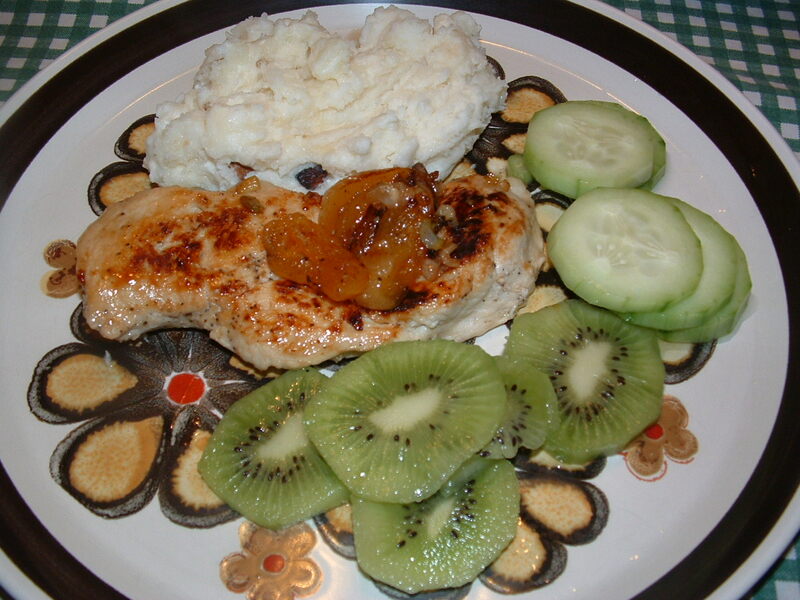 Serve over chicken and white rice with fresh kiwi.